blog Those of you who run your own business and thus have had the unfortunate experience of being forced to interact with the Government’s myGov website will be aware that the site is, to put it rather bluntly, something of a piece of crap. It launched in 2013, supposedly as a single sign-on mechanism to access a range of government services, but has since been plagued by issues. Among other problems, it has historically — in the year of 2016 — had severe difficulty with the rather simple task of resetting users’ passwords. I’m personally in two minds about this proposed change. On the one hand, there is no doubt that it would be hard for the DTO to actually do a worse job with myGov than the Department of Human Services has. The site just lacks a level of basic functionality that it needs to have. The DTO — currently billed as some of the smartest minds in technology in the Federal Government — could earn themselves plaudits by just fixing a few of the major bugs. 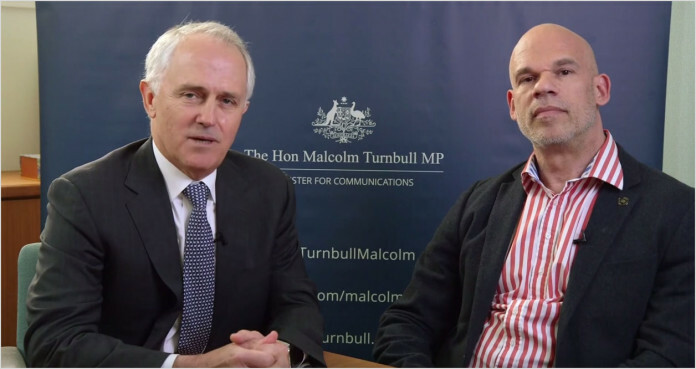 At the very least, the DTO does have the political clout to push through change, with its direct links to Prime Minister Malcolm Turnbull. On the other hand … we’re not precisely talking here about a minor IT project. The myGovt is a large and very complex project and platform, interacting as it does with a wide variety of other government IT platforms. I’m really not sure that the DTO — with its large current focus on user interface structuring and front of house work — has the sheer IT governance guts to pull this one back on the road. There is some deep IT development which needs to be done here, and that development needs to be overseen by a very robust IT project management office. Does the DTO actually have that, having been set up only a short time ago? I guess we’ll very shortly find out. I’m glad I’m not the only one that thinks MyGov is a pile of poop. Those mandatory 5 (useless, waste of time) security questions are so insecure its not funny too (that and there isn’t enough non custom defaults in the first place) . That’s why I’ve expressly ignored the prompts to ‘improve my security’ by downgrading my 64 character full-ASCII random generated password. Good luck coming up with a system that is more secure than that… Their workaround isn’t even proper 2 factor FFS. I’d just like to point out that there’s nothing stopping sole traders from getting an Auskey and using the business portal. I’d just like to point out that Sole Traders are able to get an Auskey and use the business portal for most ATO related purposes. The big problem here is not what DTO can or can’t, should or shouldn’t do, or even whether they must or must NOT do it. “There is some deep IT development which needs to be done here…” Given the nature of the software bases involved, and the cost of building and then maintaining them, is this something we can afford to let Government touch? Or is it so sensitive (given the nature of the beast) we cannot let the Private Sector within coo-ee of the paddock? Has anybody actually done a Scope of Works Study? Or have all these disparate systems just been allowed to grow like Patterson’s Curse? I am not sure the problems are solely contained within MyGov. And I’m absolutely convinced many of the problems stem directly from poor and non-existent system analysis going back at least decades. Which brings us to the subject of money, which is very easy to find for Matters Of Public Consumption like Boat People and WMDs, but seems to be somewhat akin to Unobtainium when needed for government infrastructure. Can the Nation actually afford a proper System Analysis on its most important software base? Can we afford not to? We can’t continue to compete globally with insecure honeypots lying all over the place, that the government is desperate to add more and more data to. It’s only a matter of time until the first breach of a mandatory data collection database… Maybe ten years after that we might actually find out about it! Actually, that’s the only way that government IT projects get done. Good luck to them. This statement being true I would have thought I could just search Google news and find a 2016 article about myGov and passwords. But a search for “myGov password” ends up blank. My opinion is that the password issue is an old problem, not from 2016. I’m one of the lucky people who have never had any issues with myGov. From my personal experience, the concept and the product is actually very good. I am hoping that this move to DTO will allow the bugs to be fixed, as I do think that it is a worthwhile project. At last and thank God we’ll be following in the footsteps of the gov.uk service, which works so well.